Cpl. K.D. Lee of Camp Pendleton’s 7th Engineer Support Battalion of the 1st Marine Logistic Group pleaded guilty recently at summary court-martial to belittling and berating a subordinate, according to Marine spokesman 1st Lt. Adam B. Miller. Lee had been accused of inflicting “cruel, abusive, humiliating, oppressive, demeaning or harmful” treatment on a junior enlisted Marine on April 6, according to a charge sheet obtained under the federal Freedom of Information Act. She was charged on Aug. 4 with three counts of violating a lawful order designed to prevent hazing and pleaded innocent at an initial hearing on Oct. 13, according to the military court docket. There are three levels of court-martial proceedings — general, special and summary. General and special court-martial cases threaten harsher punishments and the stigma of federal felony or misdemeanor convictions. Lee at first faced a special court-martial trial, but her plea agreement shifted her into a summary hearing, which acts as a kind of legal bridge between the harsh penalties of court-martial convictions and the more lax non-judicial punishment. Her military-appointed attorneys did not return calls seeking comment. Miller said that six other non-commissioned officers were administratively disciplined for their actions through non-judicial punishment. The corps redacted both Lee’s first name and the identity of her victim, except to note that he was a male Marine who held the rank of private first class during the April incident. Lee, a three-year veteran of the corps who has yet to deploy overseas, threatened to toss the subordinate off a rooftop, questioned his gender, derided him with salty language and told other Marines that she was “not (expletive) done with him” and “we’ll get him, don’t worry,” or similar phrases, her charge sheet indicated. Promulgated throughout the Marine Corps on May 20, 2013, and signed by former Marine commandant Gen. James Amos, the anti-hazing order Lee violated was designed to track and eradicate abuse inside the service. Two years earlier, a lance corporal committed suicide after fellow Marines beat him for falling asleep on watch, an incident authorities concluded was a form of hazing. On Nov. 11, Gunnery Sgt. Joseph Felix, a Parris Island drill instructor, was convicted of abusing recruits, especially Muslim volunteers. He was sentenced to 10 years in prison and will exit the service as a private with a dishonorable discharge. While the Marines in recent years have rushed to investigate allegations of hazing and prosecute offenders, an early 2016 report by the Government Accountability Office found that Marine efforts “do not necessarily cover all aspects of hazing policy implementation,” among other problems. For example, the Marine data tracking system used to monitor hazing in the ranks counted too many cases because of duplicated entries, the federal watchdog agency concluded. 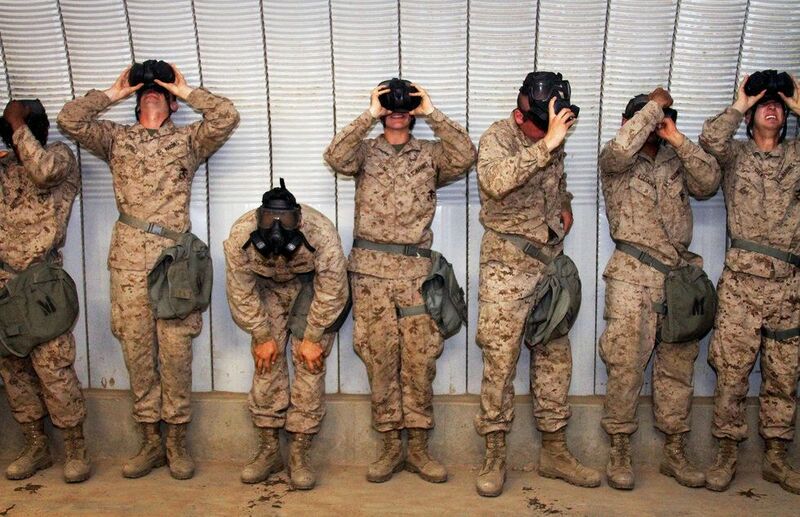 Analyzing command climate surveys filled out by 8,750 Marines in 2014, GAO determined that 11 percent of the troops believed that they were pressured to engage in potentially harmful activities that were not part of the mission and newcomers were humiliated or forced to do potentially dangerous activities before being accepted into a unit. Analyzing an additional 11,835 surveys found that 15 percent of Marines also reported serving in toxic units that excessively teased troops to the point where they were unable to defend themselves; frequently belittled others for slight errors and excluded fellow Marines from social work group activities. 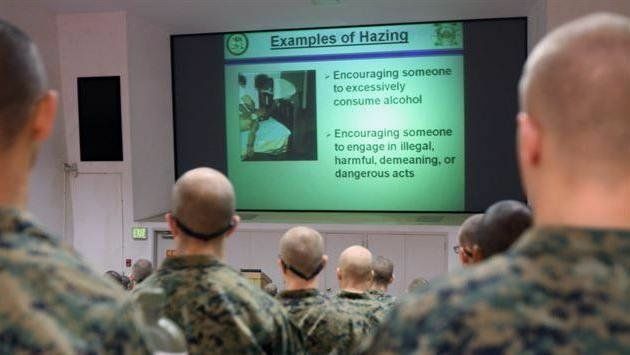 The Marines led all the other services in rates of perceived hazing, with the results skewed toward the junior ranks most likely to be violated. ©2017 The San Diego Union-Tribune. Distributed by Tribune Content Agency, LLC.